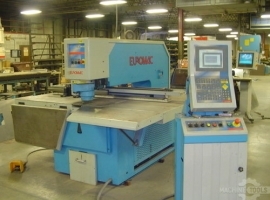 ID #: 389454 Brand: EUROMAC Model: CX750/30 Type: Single End Punches Condition: Good Control: CNC (EUROMAC) Seller: Show me who the seller is... 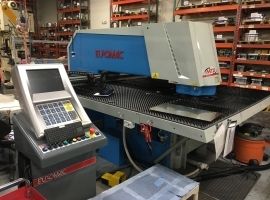 Location: Georgia United States Return Policy: 30-day Stock #: 5048 Price: Request a QuoteAdded to Request list Tonnage: 30 T Throat: 37.4 " Control: CNC (EUROMAC) Manufacturer: EUROMAC Model: CX 750/30 S/N: 3CP218116W Year: 2002 Condition: Good Specifications: Capacity-- 30 Ton Throat Depth-- 37.40 Travel-- 49.2" X, 29.5" Y Table Surface-- 63" x 41" Motor-- 5.5 HP Max Tool Size-- 3.5" Strokes Per Min Adjustable-- 160 Dimensions-- 98" x 82" F-B x 70" H Machine Weight-- 7500 LB Equipped With: Euromac Software loaded on a PC with large flat Screen Monitor. 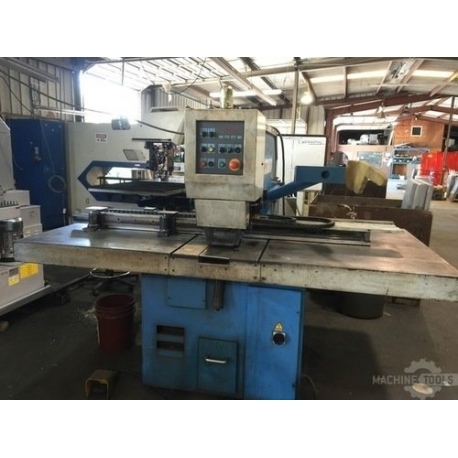 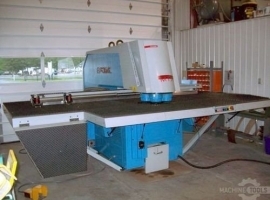 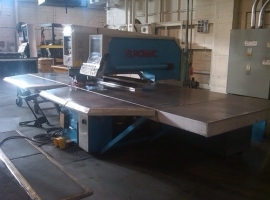 Large Assortment Of Tooling Automatic Sheet Positioning 30 Day Return Privilege FOB Atlanta GA 30 Ton Euromac single end punch with lots of tooling.